Recently, Paul has been heavily into our Area™ pickups. 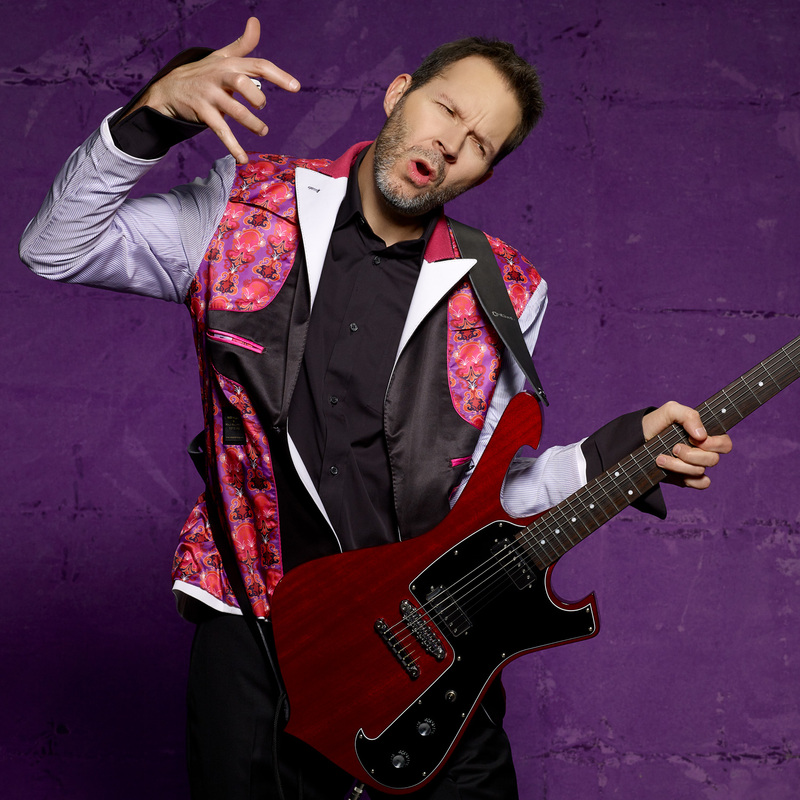 He’s also been playing a lot of Racer X-style instrumentals, so the time was right for signature Paul Gilbert single-coil sized DiMarzio® pickups. 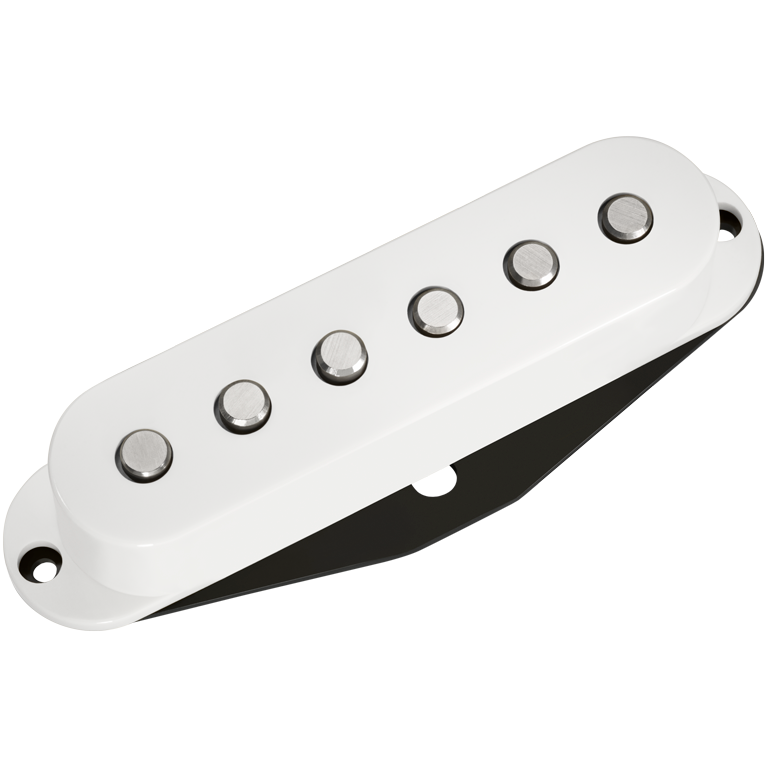 The outcome of our teamwork are the new Injector™ Neck and Bridge Model pickups. 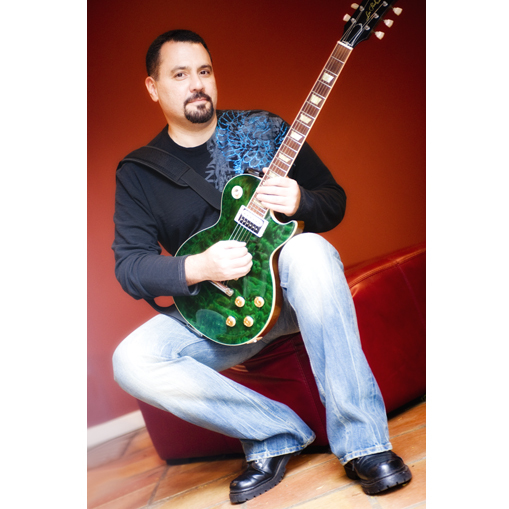 Paul loves the results, and you can hear them on his latest CD, “Fuzz Universe”. 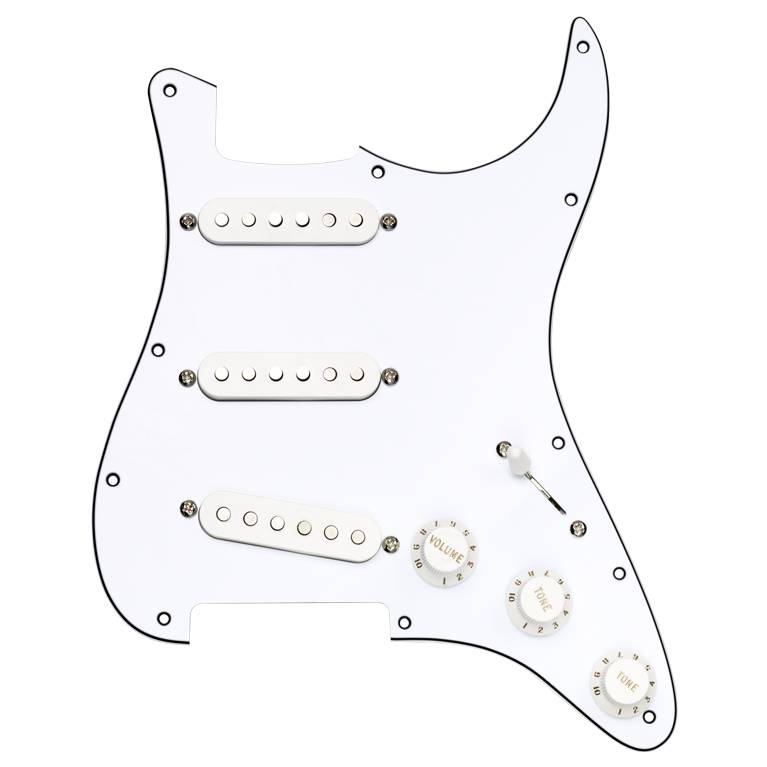 The Injector™ Bridge Model is one of our hottest hum-canceling models (185mV output) with six individual Alnico magnets. 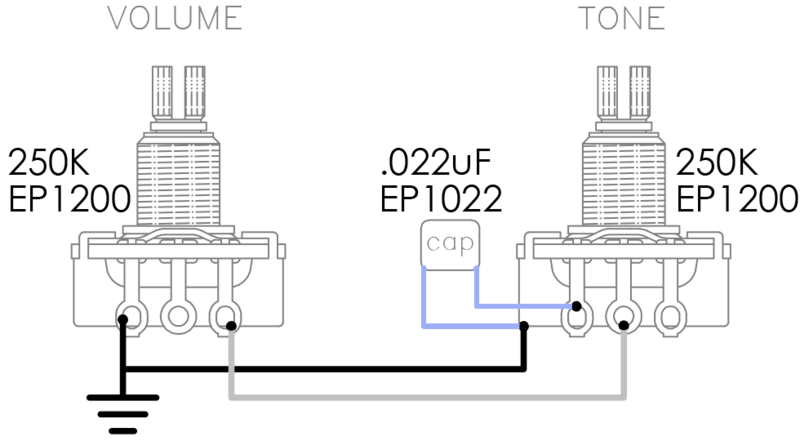 The sound is not like a vintage single-coil: highs are bright but not glassy, and lows are solid and defined. It was designed to work equally well with rapid single-note arpeggios and power chords without becoming muddy or compressed. 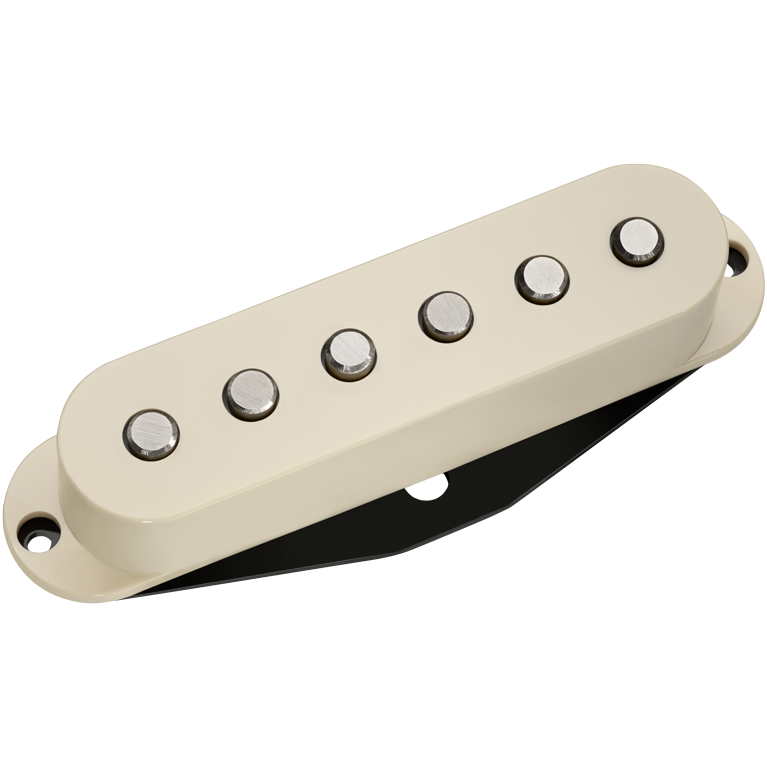 It has about 40% less magnet-pull than standard single-coils, and this is essential for the superior speed and dynamic range with which this pickup responds to pick attack. Paul's setup on the guitar he played on “Fuzz Universe” was Injector™ Neck Model in the neck, Area 67™ in the middle, and Injector™ Bridge Model in the bridge. The Injector™ is a lot louder and warmer than the Area 67™ but the combination produces varied tonal colors in the 2 and 4 positions, with the Area 67™ alone providing vintage tone and the Injector™ Neck and Bridge for heavier sounds.